Now this is great. 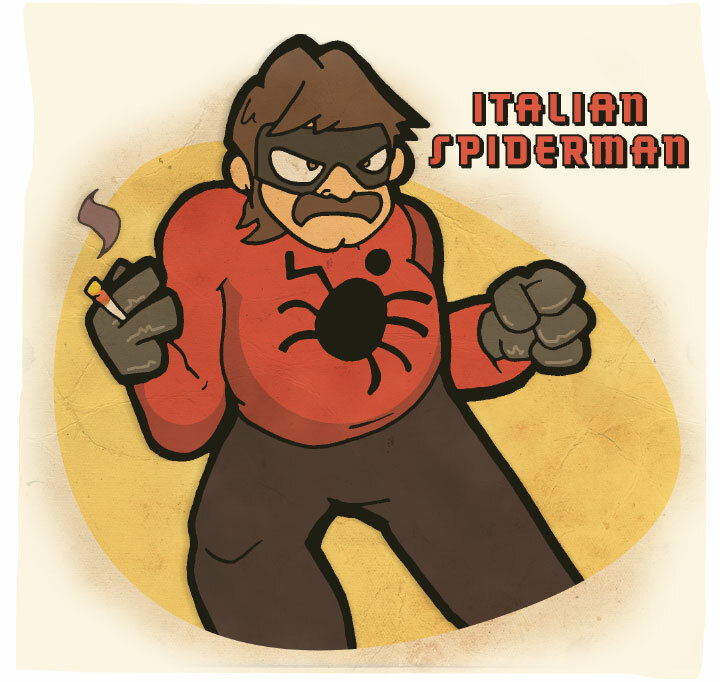 Italian Spiderman has nothing to do with Spider Man, or… Italy. Except for the dialogue. He’s less super hero and more red sweatshirt-wearing maniac who sips macchiatos and punches friend and foe alike. And while Peter Parker can spin webs and climb walls, can he telepathically communicate with penguins, or make someone’s head explode with his ‘stache? Stan Lee better take notes. The first ten “rediscovered” segments of the movie are online now. Spider spider spider spider spider! Spider. Here’s my take on Italian Spiderman.